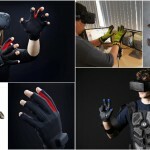 virtualreality > Should You Buy Virtual Reality Gloves? The virtual reality world is very visual—it’s all about standing in the middle of a scene and feeling immersed because of everything you see, panoramic style. But what about the sense of touch? What is more immersive than being able to experience the feel and weight of the things in your virtual world? When you are feeling something, you’re definitely out of the realm of spectator and into the realm of participant. 2 Will you Love the Glove? 3 Virtual Reality Gloves, Gaming or Entertainment? 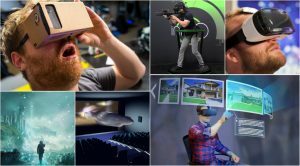 5 A Crucial Part of VR? The technology already exists to experience the tactile nature of VR. But only so many people have rushed to adopt it. Perhaps a lot of VR adopters want to just get into some valid content with their headset before moving forward. 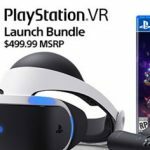 And one imagines a lot of savings funds being started to acquire some of the many goodies available in the VR universe. With a lot in the gaming and entertainment world to spend your money on, how high a priority should VR gloves be? Haptic Feedback is the boss principle on which VR gloves are based. The haptic system is one third of our sense of touch, with the other two being kinesthetic and cutaneous. The word haptic comes from a Greek word “haptethai” which means “to contact.” If you think about it, your skin feels many sensations and feelings of some kind occur in various parts of your body, like when you bang your knee on a table. But “haptic” is all about meaning to do it—reaching out and touching something, particularly to get a sense of how heavy it is, what it is, etc. Devices using this concept create small vibrations to cause haptic sensation in the user. 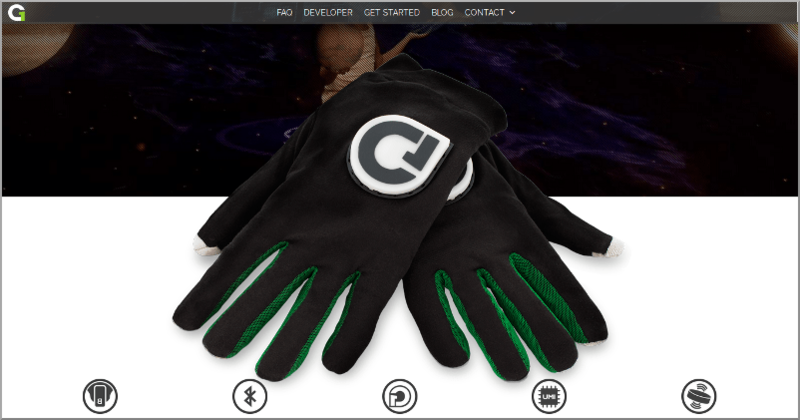 In short, by wearing these gloves, a user can press buttons in a gaming environment as applicable; recognize textures; feel temperature or even soundwaves; and, if the environment is optimized, actually pick up objects! This is a pretty cheering development, because if you’re turning around in a nice panoramic environment and you start to feel the natural urge to reach out and touch a part of the glimmering world and you find you can’t, your experience is disrupted. So, how do these gloves work in Virtual Reality, going beyond keeping your hands warm? In short, any of the gloves on the market (below, we’ll spec out some of the brands) use Bluetooth to communicate with your VR device. With most current gloves, you have a small bundle of chips which includes the IMU (inertial measurement unit), through which your computer or smart phone tracks your hand in the glove. The glove will also have various sensors near the tips of each finger. So basically, when you’re looking at a glove to buy, you may check into how may IMU’s it has. There is the main one, usually with smaller ones distributed to the fingers—and you should probably choose one with pretty close to double digit IMU’s. The glove usually come with software that has to be installed. But other than that, it’s plug and play—put on the gloves and connect via Bluetooth. Some have the availability of USB if you want to be wired. Will you Love the Glove? Gaming – As we speak, various game developers are working furiously to include more tactile elements to their games. 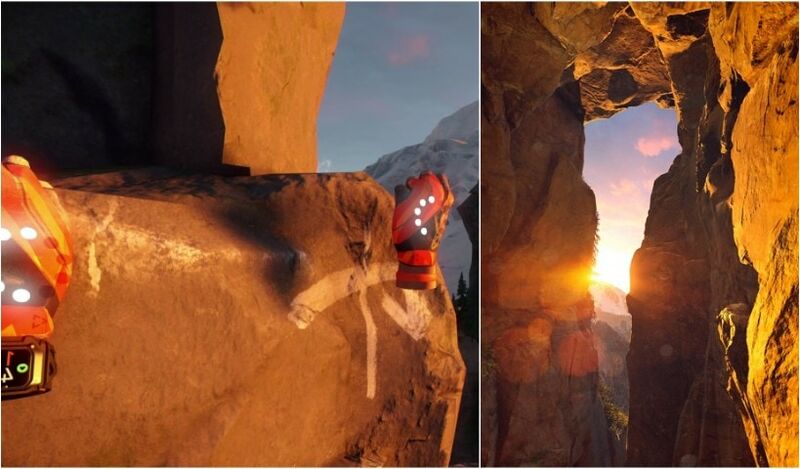 The makers of gloves are working with VR developers to create more and more experiences. As we see it, you can break down some of the benefits of integrating VR gloves into one’s experience into 3 main areas: control, uninterrupted experience, and full immersion. Control – With a lot of games, the user is holding a controller while also using a headset to be immersed in a 360 environment. Sometimes the controls don’t respond exactly how we want them to, or to put it another way, there’s a layer of separation between us and the stuff on the screen we’re trying to interact with. Anyone who plays video games would love to just reach out and throw an obstacle aside or pick up a tool, etc. To the extent that a particular game allows this, you can do it with gloves. 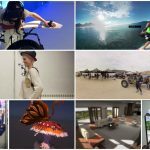 Uninterrupted Experience – What this means is that you can proceed through a virtual world quickly and easily if your hands take the place of controllers—it breaks down a wall of separation. Just approach what you want to and touch it. 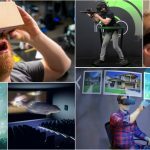 Full Immersion – This, of course, is the gist of the promise made by the makers of the gloves and of VR platforms themselves. While one is gaining some advantage from using, essentially, her or his fingers as a controller, doing so is also more immersive. Some senses far outpacing others isn’t a very realistic experience. So if you can touch as many of the materials around you as possible, you feel more like you do in real life. If, in gaming, you get to the point of being able to punch villains, feel a gun kicking and vibrating, etc., well, that’s many factors cooler! 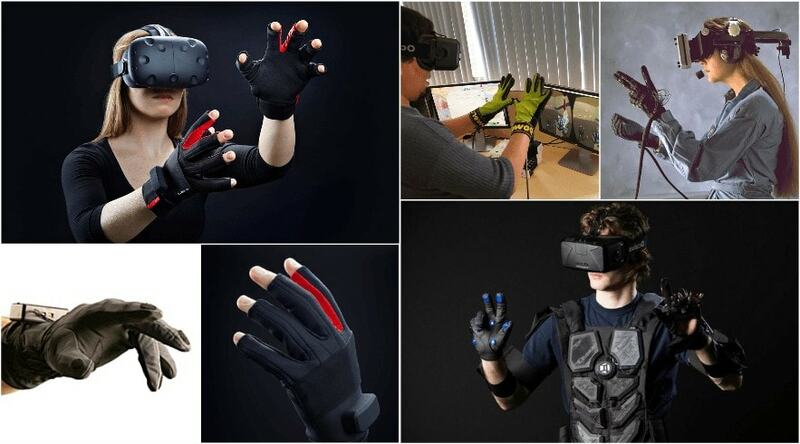 Virtual Reality Gloves, Gaming or Entertainment? It’s hard to know which provides more use for VR gloves, gaming or entertainment. There’s no question that the technology holds incredible promise when it comes to immersive films and TV shows. This is probably the area that is most exciting to those of us who think about the philosophical aspects of VR and of immersive experiences. That’s because what’s at stake with offering haptic experience is upsetting the division between creator and audience. Here’s what I mean: if I’m watching an episode of Bloody Lagoon with a VR headset and I decide to bend down and touch the dewy, pre-dawn grass, I’m working on the environment rather than passively experiencing it. A couple of important points here: one, I might take in the upcoming events a bit differently having familiarized myself, as intimately as possible, with the cold and damp chill of my environment. Two, I’m experiencing the TV show slightly differently from another person, based on my choices. Now, this would also have some pretty spectacular effects on how this entertainment is created. Creators will be able to decide which objects can and can’t be felt of manipulated. This will affect the way they write their stories, and to some extent, what a story might mean. Jeez, talk about product placement. But it will also cause them to pay attention to the way things on their sets feel to the audience. In short, what it means to be entertained will be greatly broadened. So, as I say, the technology is certainly available. 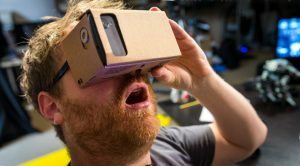 It’s just a matter of content creators getting on board and making art that takes advantage of it, the way filmmakers have recently begun optimizing the 360 immersive experience. There are already a few choices of gloves to choose from. Each works on the principles outlined above. As outlined below, they’re all at prototype stages, some available for pre-order and all on their way, if all goes as planned, to a wide release in the near future. So here they are, the pioneers in this intriguing new technology. Gloveone – This is a pretty sharp-looking pair of gloves, fitting just like gloves people would wear for BX or something similar. One thing to note, though, is that the main board, which houses the IMU, is embedded within the logo that sits on the back of your hand. A clever design, but something to be aware of. Above, we talked about the virtues of having IMU’s on the individual fingers, and this glove does exactly that. It also has actuators on each fingertip. Right now, Gloveone works on the plug-and-play principle. There are games that have built-in haptic functioning, and Gloveone can work with these. 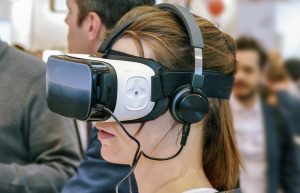 But the company is working with many of the big VR players, trying to develop partnerships with them. 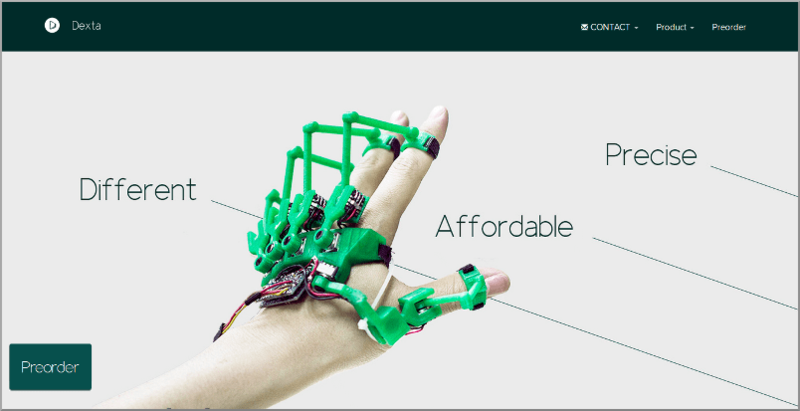 While Gloveone has working prototypes, it is still seeking funding for mass production. 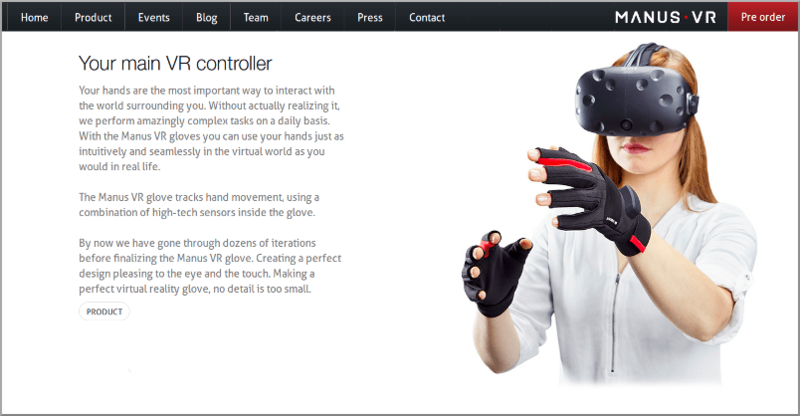 Manus VR – This Dutch company produces black gloves with open-fingered tips. Kind of a nice touch (see the pun there?). The bad boys are designed to be compatible with the HTC Vive. They use an IMU made by Bosch. It boasts a latency of less than 5 ms.It seems to be the case that unlike Gloveone, Manus doesn’t contain actuators and IMU’s on the fingers—the website says the sensations are felt with the back of the hand. 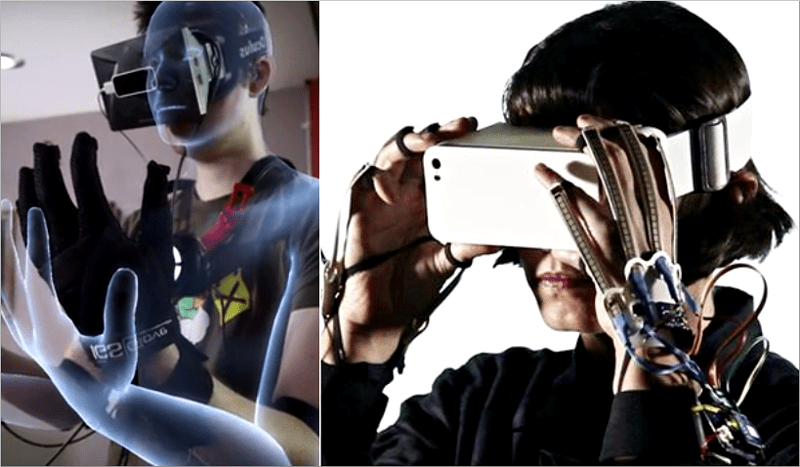 Dexmo – From Dextra Robotics comes a different kind of VR glove. This one is exoskeletal, meaning that the guts are on the outside, very visible, kind of large. If you want to have that cyborg or spider-monster feeling, they will help.Dexmo runs on a principle called force feedback. This basically means that a small motor acts as a spring, reacting to force that is put on the fingers of the person wearing the glove. Basically, this is meant to make a virtual tactile experience much more realistic, allowing a person to clearly feel differences in textures of objects, like the difference between a rock and a tennis ball. Since a lot of VR applications involve weaponry, being able to get a good, realistic grip on a gun and its trigger is pretty important.At the time of this post, each brand of glove listed above is very close to a wide commercial release. Your best part is to check the website of each regularly—though Manus has a Development Kit for pre-order. Right now, pricing for gloves across the board is in about the $250 range. A Crucial Part of VR?